In late September, I participated in an intersessional meeting at the Vienna Commission on Narcotic Drugs and attended a workshop of the Academia Pro Vita at the Vatican. From Rome, I flew to Montevideo for the World Health Organization (WHO) meeting on Non-Communicable Diseases (NCDs) convened by Uruguayan President Vazquez, an oncologist, in advance of the 2018 United Nations General Assembly Special Session (UNGASS) on NCDs. Uruguay has made great progress developing palliative care under Universal Health Coverage (see my previous article). I was fortunate to visit their only publicly funded home for older persons, which offers palliative care, as well as rehabilitation services. 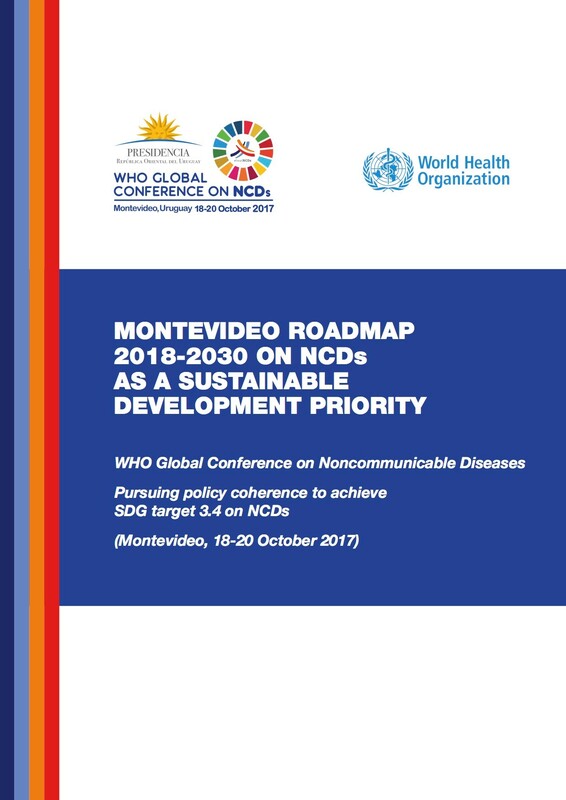 The Montevideo meeting on NCDs was pegged to Sustainable Development Goal 3 (Healthy Lives for All at all Ages) specifically to Target 3.4, reduce mortality from NCDs and improve policy coherence. 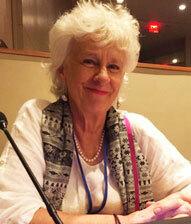 I have been participating in the WHO Global Coordinating Mechanism on NCDs for several years now, along with Stephen Connor of the World Hospice Palliative Care Alliance (WHPCA), in order to ensure that discussions and documents about NCD policies include language about palliative care and access to controlled medicines. Dr. Eduardo García Yanneo, a Uruguayan palliative care doctor, represented WHPCA. (See Eduardo’s article here). WHO Director General, Dr. Tedros Adhanom Ghebreyesus, with Regional Directors and the President of Uruguay, Dr. Tabaré Vázquez, at the Opening Plenary of the Montevideo Conference. Given the history of participation, the WHO Resolution 67/19 on palliative care, and WHO’s own definition of Universal Health Coverage (which includes palliative care), we were all astonished that the WHO draft ‘Roadmap’ issued to prepare for the Montevideo meeting, made no mention of the essential role of palliative care for persons living with NCDs. The document’s focus was on improving surveillance, prevention, and control of NCDs. All laudable goals, but of no use to the millions of patients suffering NOW from cancer, heart disease, diabetes, and other life-limiting illnesses. Surveillance and control won’t help patients unfortunate enough to get sick in countries with few, or unaffordable, essential medicines, and no palliative care services (more than 70 percent). Fortunately, WHO opened the Roadmap for general web-based comment! The international palliative care community mobilized partners in ministries as well as national and regional associations, and the final document approved by the Montevideo High Level Segment, contains three references to palliative care. Evidence in black and white that advocacy built on good partnerships works! Since WHO Director General, Dr. Tedros Adhanom Ghebreyesus, was making some high-profile speeches at the meeting, we also hoped he would remember to mention palliative care as part of an essential package of services. He did, perhaps because his Assistant Director General had just presented him with The Lancet Commission Report and perhaps because I had reminded him in Budapest! (See my article). We also requested partners to reference palliative care as part of their NCD strategies during oral interventions in the plenaries and panels. Health Minister Mayo from Panama and NCD chargé, Dr. Jose Valderrama from Colombia, came through with flying colors. Dr. Viroj Sumay, President of the International Narcotics Control Board, gave a speech on controlled medicines for NCD patient care. Stay tuned for next month’s report on the El Salvador Palliative Care conference, where Dr. Tania Pastrana (President of the Latin American Association for Palliative Care –ALCP) and I are presenting, and for news about our Central America advocacy workshop in Guatemala City. Click here for information on the IAHPC/WHO Policy Brief Course.